MSI have long been a stalwart of quality products which has made them a firm favourite for both enthusiasts and system builders alike. Performance users love the brand not only because of the quality of components used but because they are silent and very well cooled. 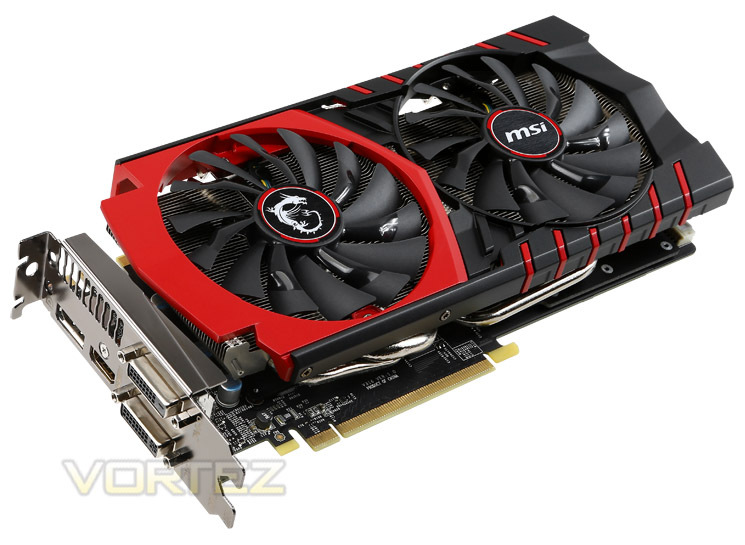 The MSI GTX 970 GAMING 4G is one such product that encompasses these values, especially with regard to the cooling with the near silent, redesigned TWIN FROZR V which as the name suggests is the fifth incarnation of their custom heatsink/cooling assembly which we have lauded over in the past. As you will see, this version is no different in this respect. The GTX 970 finds itself sitting below the GTX 980 and also ever so slightly below the AMD R9-290X in terms of out-right performance. NVIDIA however are keen to point out the power saving features of the GPU along with MSI’s cooling ability. We have seen this before with both of MSI’s competitors the overclocked GIGABYTE Windforce GTX 970 and ASUS STRIX GTX 970 - so with the MSI GTX 970 Gaming 4G’s clockspeed sitting between these two graphics cards we wouldn’t expect any performance differential. It could even be suggested that your decision upon which graphics card to buy will likely end up being a choice between brand loyalty or even styling/colour! We will however give you the low-down on what makes this graphics card a serious competitor. MSI started from the motherboard and graphics card industries and extended into consumer and commerical electronics including notebooks, All-in-One PCs, servers, workstations, industrial PCs, household appliances, car infotainment products, barebone systems, multimedia, communication devices, and others. With innovation and style as its core value, customer satisfaction and premium service as its goal, MSI will definitely be the most brilliant star in the global brands!